The Kennedy Space Center’s visitor complex inspires millions of visitors with technology and human achievement. It’s a privilege to have five Spotlight Solar Lift structures in such an important place. 1958 marked the first flight of photovoltaic solar cells in space, with the Vanguard 1 satellite (which remains in orbit). 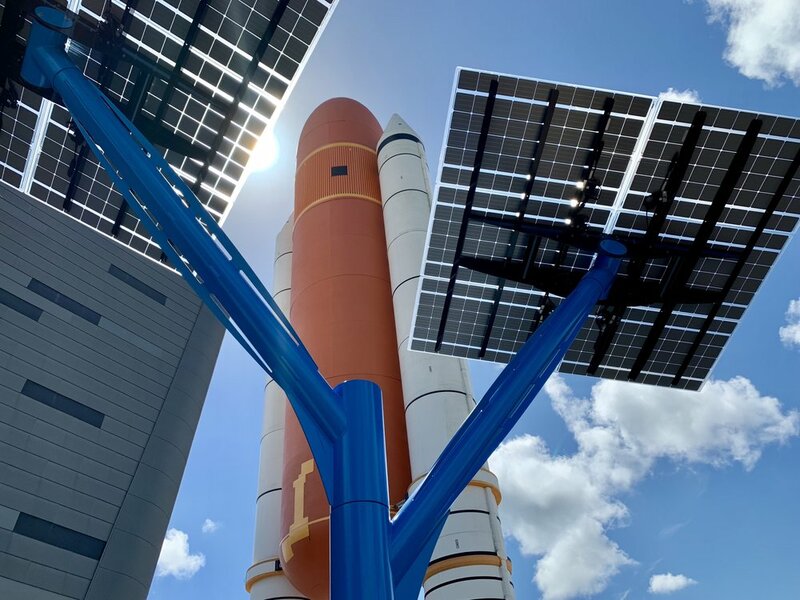 Space flight was one of the first practical applications of solar electricity, and the US space program has been key to advancing PV technology. So we think it is fitting for solar to have a visible presence at Kennedy, educating visitors and endorsing renewable energy. - Matt Valle, VP of development at Florida Power & Light.